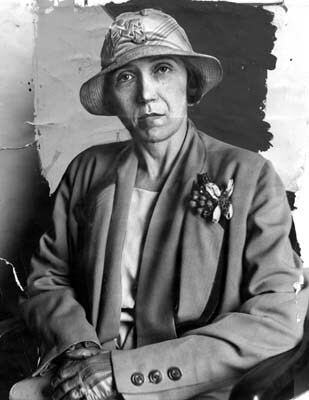 The real Christine Collins. To read the LA Times review, go here. 1. I think Angelina Jolie was a casting mistake. Her character, Christine Collins, was such a strong, inspirational woman, and she didn't quite capture that energy in a way that did Collins' story justice. 2. The Wineville Chicken Coop Murders scene in this movie was incredibly disturbing to me. It was one of those visuals that I may never forget, an image I may carry with me for life because of the emotions it brought up in me while I watched it. Landon actually walked out of the room; I didn't, but I wish I would have, and usually, I'm the sensitive one out of the two of us when it comes to movies. Overall, I'm glad I saw this movie, even though facts were unfortunately altered, because I didn't know the story of Walter and Christine Collins, and was reminded of how easily and carelessly women were thrown into mental hospitals, as well as the horrific and degrading treatments and tests they were subjected to once locked inside. No one really knew what was going on inside these places, and fortunately, because of women like Christine Collins, laws were eventually changed and mental hospitals became better regulated. Of course, even many years after Christine Collins' lawsuit, women like Rosemary Kennedy were undergoing lobotomies that would mentally incapacitate them for the rest of their lives. Even still, we have a long way to go when it comes to mental health care. Perhaps we'll get a little closer to a solution under the Obama Administration.